The S197 chassis' stock lower control arms leave much to be desired and contribute to the inherent traction and wheel hop problems from the factory. 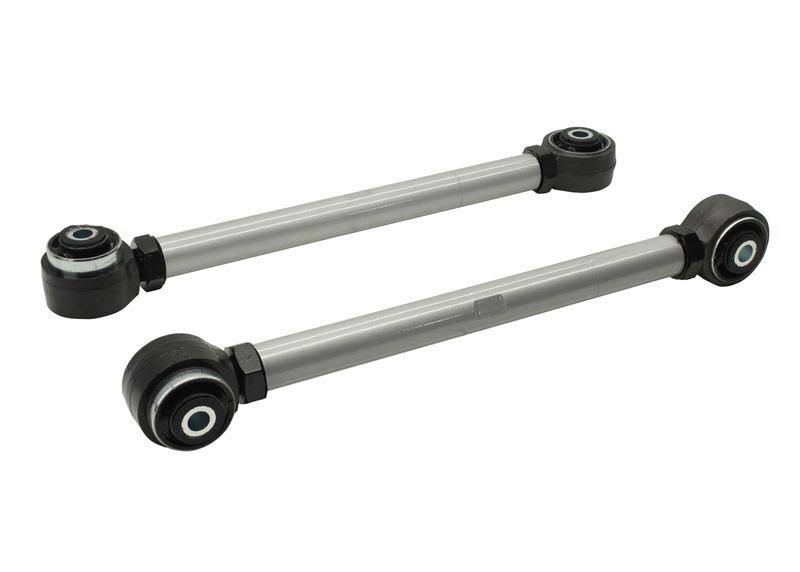 Whiteline's adjustable lower control arms are made from tubular DOM steel with Forged Rod Ends for optimal strength and feature our Giiro bushings, engineered specific for this application. 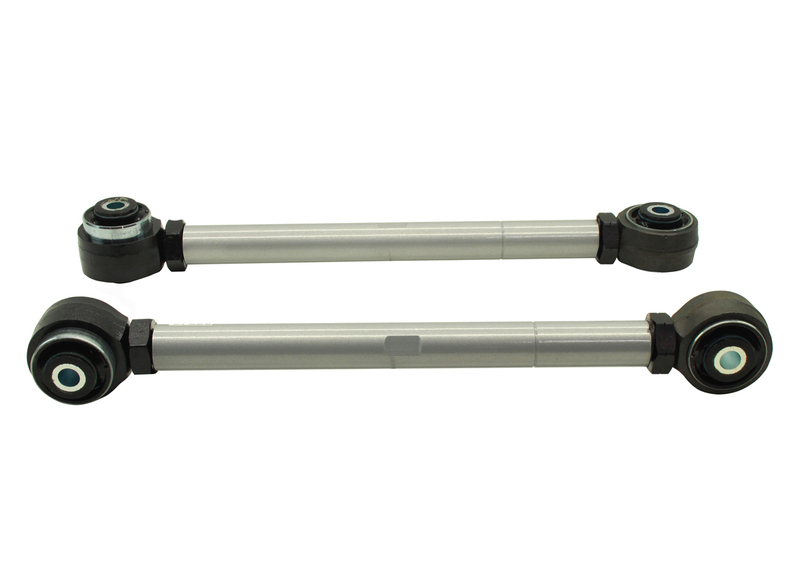 Our Grease free, non-bonded bushing tube design allows the crush tubes to free float, eliminating bushing wind and snap back, increasing handling predictability. Engineered to alter/ optimise vehicles pinion angle to minimise vibration and increase rear drive power/torque to the wheels. in/lbs 16.535lbs 24" 8" 8"